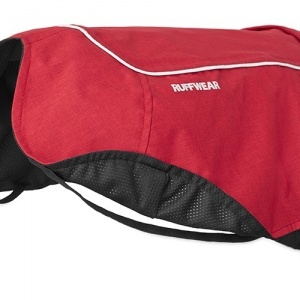 Top quality lightweight weatherproof dog raincoat from Ruffwear. The non-insulated design makes these suitable for use all year round, and particularly suited to dogs with thick coats which don't need the warmth of an insulated dog coat. 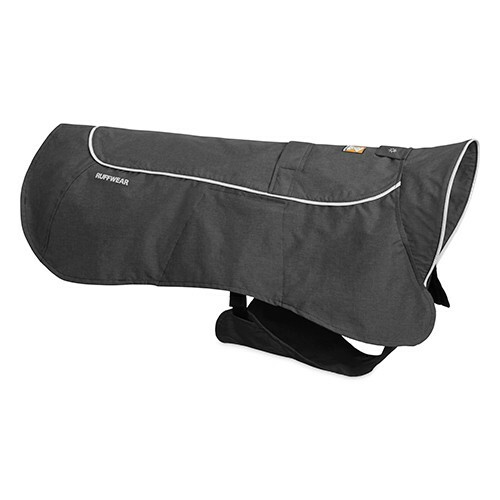 The Ruffwear Aira coat features breathable fabric and a fold up storm collar. 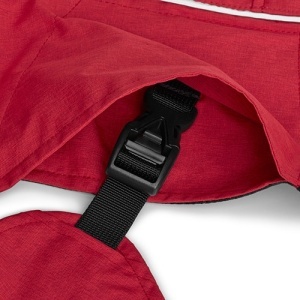 Easy on/off side release buckles and reflective trim for safety in low light conditions. 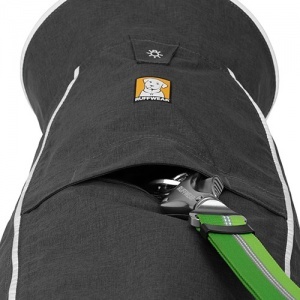 Includes a leash portal on the back so the coat can be worn with a harness. Leg loops provide a secure fit in windy conditions and Autolock buckles ensure the coat is easy to get on and off.